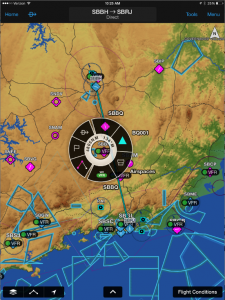 Garmin Pilot Goes Global | Avionics Blog – Avionics to the Max! Introducing Premium Worldwide Navigation Data, Plus European and Canadian Charts! Garmin Pilot has expanded to provide worldwide coverage for iPad and iPhone. 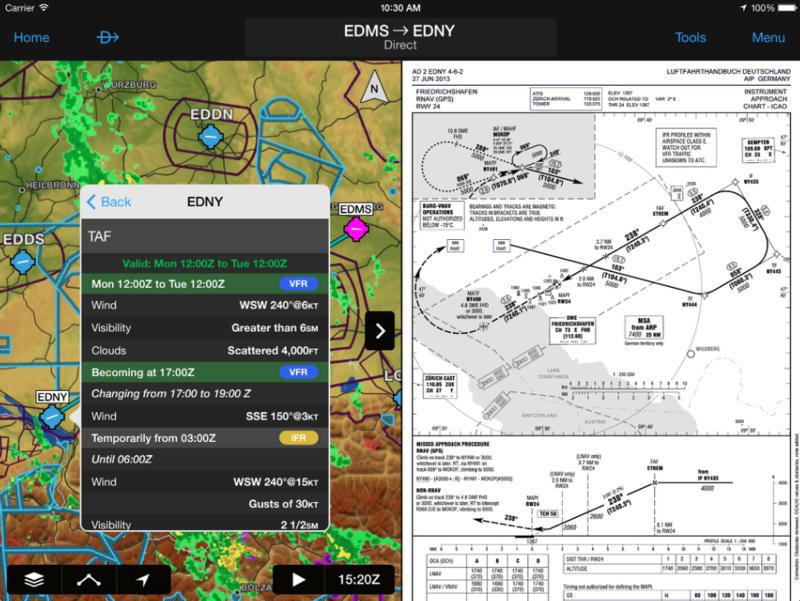 These features include flight planning capabilities, comprehensive weather coverage and feature-rich navigation for pilots around the globe. With Garmin Pilot, pilots may review weather, plan their flight, download and review charts all before going to the airport. 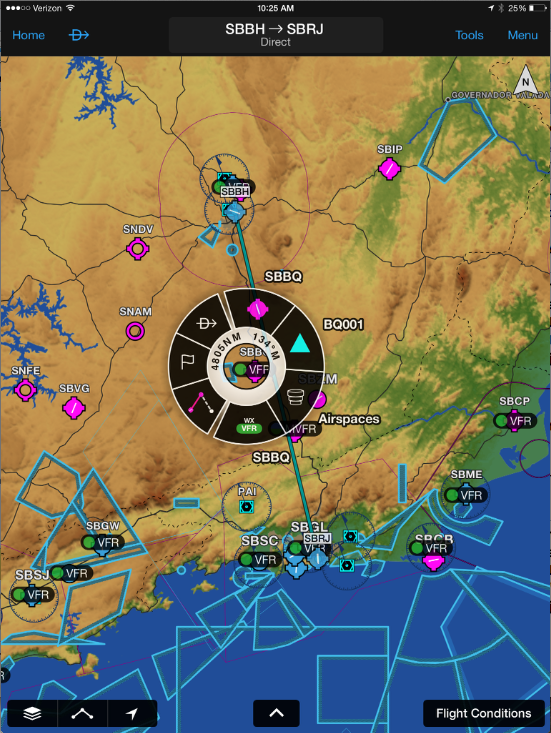 A combination of both Jeppesen and Garmin’s navigation data is incorporated so planning a flight is simple for pilots around the globe. 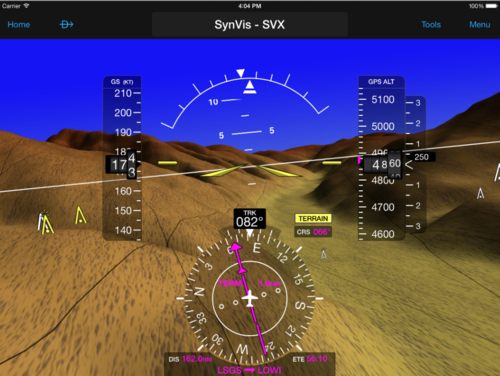 Highly configurable maps allow pilots to choose between track-up and north-up orientation while in-flight. METARs, TAFs, AIRMETs, SIGMETs, NOTAMs and winds aloft are displayed graphically around the world as on overlay on the moving map page, within the airport information page and as a widget in split-screen mode. 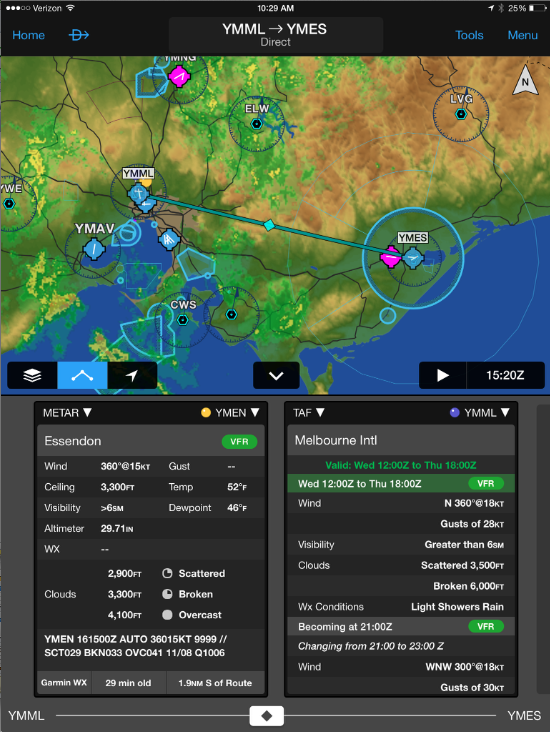 Text-based weather products are also available and can be seen in split-screen mode and using the NavTrack feature, allowing pilots to intuitively understand weather trends along their route. 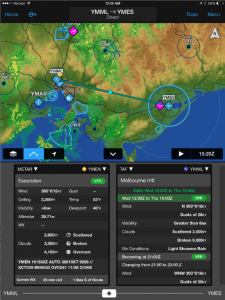 Radar and satellite imagery for Western Europe, Canada, Australia and the U.S. provide pilots with even more weather products so it’s easy to determine if precipitation or cloud cover will impact a flight. Reduce the amount of paper charts needed for a flight with Garmin Pilot. Customers have access to optional geo-referenced European FliteCharts for select countries and also supports European VFR data sourced directly from Flugsicherung (DFS) and IFR Charts from Eurocontrol. SafeTaxi geo-referenced airport diagrams are available in portions of Europe and are overlaid directly on the moving map. FliteCharts and SafeTaxi coverage is further extended into Canada and includes approaches, departures and arrival procedures. New to Garmin Pilot, Smart Airspace makes it easier to identify what airspace lies ahead. Smart Airspace conveniently highlights the airspace nearest the aircraft’s current altitude and de-emphasizes non-pertinent airspace. Flying into and around special use airspace (SUA) and controlled airspace is much easier with Garmin Pilot. Entering a flight plan is even faster with Garmin Pilot, which features FastFind. As a flight plan is entered, FastFind incorporates predictive logic to suggest airports and waypoints using current GPS location. This feature is automatically incorporated to the latest version of Garmin Pilot for new and existing customers! Download version 6.2 in the iTunes store today to get the latest version of Garmin Pilot. There are a lot of features, new capabilities, and of course, worldwide coverage packed into this single update. 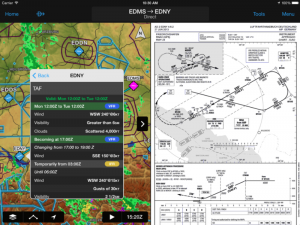 Garmin Pilot Canada Premium includes Garmin FliteCharts and SafeTaxi diagrams for Canada, as well as worldwide text-based weather products, radar, and satellite imagery for the U.S. and Canada available in August. Visit the Apple App store to download Garmin Pilot and visit fly.garmin.com for complete coverage and pricing information. This entry was posted in Latest & Greatest Avionics and tagged aircraft, AIRMET, airplane, Apple App, avionic systems, Avionics, Canada, cockpit, comprehensive weather, DFS, efis, electronic charts, FastFind, Flight Instruments, flight planning, Flitecharts, garmin, Garmin Pilot, glass cockpit, globe, GPS, Helicopter, IFR, iPad, iPhone, iTunes, Jeppesen, Maxcraft Avionics, METAR, navigation, NavTrack, NOTAM, pilots, radar, SafeTaxi, satellite, SIGNET, Smart Airspace, SUA, TAF, tcas, VFR, VHF Radio, weather, winds. Bookmark the permalink.